Unless you live in Europe, there is a very decent chance that you slept through all the Windows Phone news last night. Consider this post to be your quick fix to get all the information that you need. If you want the blow-by-blow, our live blog from the keynote is required reading. The goal of this post is to hit on the big points in a brief manner. The Lumia 610 is real. We already mostly knew that, but today it was made official. The handset runs on a newly lowered set of specifications (more on that later). The device has a mere 256 megabytes of RAM, and a single core 800 mhz processor. However, despite that, the device doesn’t feel excessively low-end, according to WPCentral, which said: “[c]all it low-end but don’t call it cheap. That’s how we feel about the Nokia Lumia 610 which in our opinion is a buttery smooth and elegant little number.” Windows Phone has always been a lightweight operating system, but it is surprising that it can run that well on hardware that is so dated. The 610 brings Nokia’s Windows Phone lineup to a total of four devices: the Lumia 610, 710, 800, and 900. They run the gamut from budget to halo. 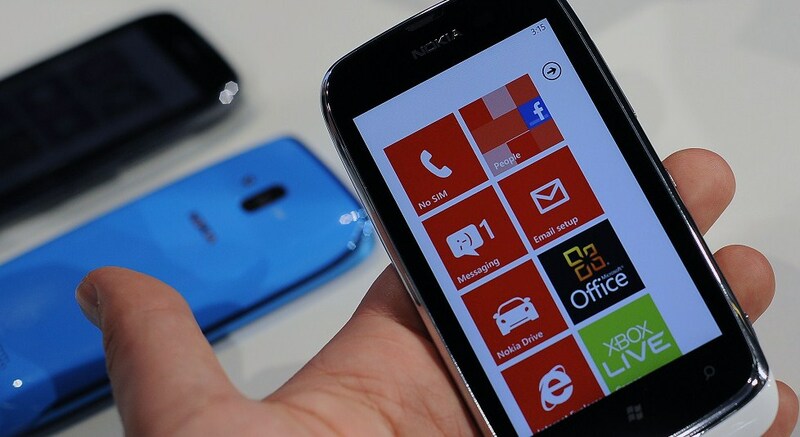 Naturally, we expect the Lumia 610 to head to dozens of countries in which handset costs are on average lower, due to lower GDP per capita figures. Skype for Windows Phone Beta* supports the most important Skype features you’ve come to know and love. And you will be especially thrilled by the clean and simple Skype experience that the Metro user interface delivers on your Windows Phone. It has never before been so easy to connect with the people you care about most. Of course, you will need to have the Mango update installed on your handset for Skype to run. The full version of Skype for Windows Phone is due in April. Microsoft also has adapted Windows Phone software so that it requires half as much memory and runs the cheaper 7X27A chip from Qualcomm Inc. (QCOM) That should help manufacturers cut their costs by about 30 percent to 40 percent, Myerson said. New Windows Phones could cost as little as $100 to $200 to make. Cheap Windows Phone hardware will be shipping to markets where smartphones have barely dared to go before. If the move will make Windows Phone a global brand on the scale of its competitors remains unknown. We think the move is prescient, and that it will drive Windows Phone sales. Finally, and briefly, HTC will be building handsets based off the next major Windows Phone release, codenamed ‘Apollo.’ It is widely expected to be marketed under the name Windows Phone 8. The company has promised a ‘range’ of phones. When we know more, so will you. That’s the short version. For all our Mobile World Congress coverage, head here.